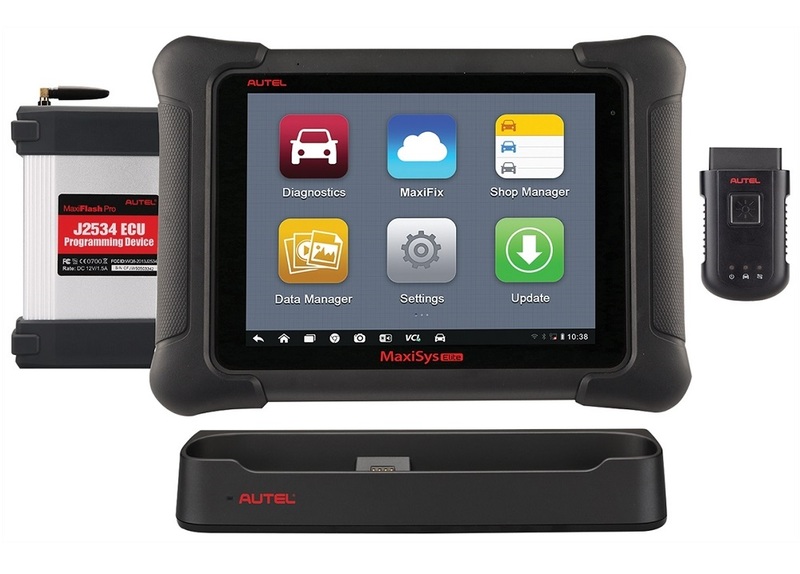 The MaxiSys Elite, the newest addition to the MaxiSys line of highly advanced smart diagnostic tools, is based on the fast and intuitive Android operating system. Powered by NVIDIA's Tegra 4, the world's fastest mobile processor, its visually stunning 9.7" Retina display offers ultra-high resolutions up to 2048x1536 and an optimized array of sophisticated and powerful applications. The MaxiSys Elite rapidly performs every job from comprehensive vehicle diagnostics and analysis to advanced ECU programming. 2x faster than any comparable device, the MaxiSys Elite provides extended battery life and intelligent power saving. The MaxiSys Elite offers a super-sensitive capacitive screen able to respond to gloved, moistened, and even greasy fingers! The ergonomically angled docking station provides optimum visibility and convenient charging that eliminates power concerns.